The Government Alliance on Race and Equity is a national network working to achieve racial equity and advance opportunities for all. Shawna Davie is the Government Alliance on Race and Equity (GARE) South and East Regional Project Manager at the new Race Forward. The new Race Forward is the union of two leading racial justice non-profit organizations: Race Forward and Center for Social Inclusion (CSI). Prior to joining the new Race Forward, Shawna lead efforts develop to strategic relationships, implement internal operations, and contributed to strategy development in Healthy Communities for the Robert Wood Johnson Foundation. Davie founded and served as executive director of Alignment Jackson at United Way of the Capital Area in Jackson, MS. where she raised startup funds, implemented a regional drop-out prevention campaign, and led a team that increased graduation rates by 11 percent at a high poverty, low-income high school in the state’s largest urban school district. She also directed United Way’s education initiative, a project that increased graduation rates dramatically and improved third grade literacy scores district-wide by 15 percent. Her work with Alignment Jackson and United Way of the Capital Area has demonstrated her strengths in bringing cross-sector service providers, families, advocates, and city leaders together to make a difference in communities of color. Ms. Davie’s career began with the American Civil Liberties Union (ACLU) of Mississippi as a community organizer and lobbyist, where her work focused on reproductive health and justice, youth development, juvenile justice. 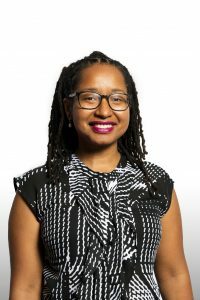 Davie earned her MPA from Baruch College, City University of New York (CUNY) and holds a BA in English from Jackson State University, Jackson, MS. Shawna previously lived in Princeton, NJ and is now based in Atlanta, GA.
For information about membership, contact Rachael Wyant at rwyant@raceforward.org. For media inquiries, contact media@raceforward.org. By subscribing to this mailing list, you are opting in to receive bi-monthly newsletters from the Government Alliance on Race & Equity. You may have the ability to opt-out at any time.